There is a growing incidence of prosecutions for driving uninsured. There are several reasons for this, firstly, many drivers are being priced off the road by the high cost of insurance and so choose instead to break the law and drive without insurance. Secondly, many drivers find themselves accidentally uninsured if their monthly direct debit or standing order doesn’t process correctly. This leads to many otherwise law abiding drivers being caught for not having insurance, due to nothing more than a recent financial oversight or error. Intent to drive uninsured should be taken into account according to many theorists, as there is a big difference between intending to drive without any insurance and missing a payment, causing insurance cover to lapse. There is of course a valid argument that it is up to each driver to make sure that they meet their obligations with regard to making prompt payments to their insurance broker or company, but it can be quite easy for life to get in the way and for errors to happen. The relatively new offence of permitting no insurance is designed to make the registered keeper of each vehicle responsible for their vehicle and the drivers who use it. 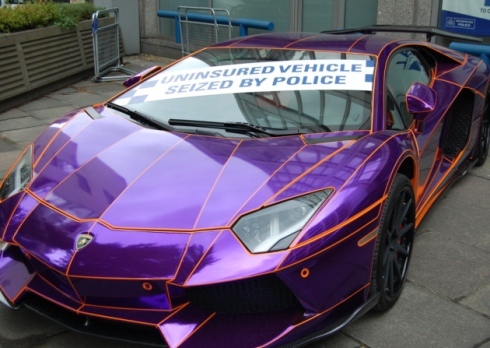 If you lend someone your car and they are not insured, you are liable to prosecution and will receive 6 points and a fine. This is a quite hefty punishment and is designed to impact on motorists who try to get away with not insuring other drivers to use their vehicles. Driving uninsured is whats called a strict liability offence and is also one of the few offences in UK law where it is up to you to prove your innocence by providing proof of insurance, rather than being up to the prosecution to prove your guilt.